So many types of videos can benefit from a fun dose of jazz in the background. Jazz comes in so many flavors it’s impossible to describe them all - and remember, if “fun” jazz isn’t quite the perfect fit, SmartSound has lots of sub-genres, including Retro, Nostalgic, Ballad, Acid Jazz, Funky, Romantic, Latin, Vintage and more! Using SmartSound’s Royalty-Free Music Search for ‘fun jazz’, nearly a hundred tracks from well over a dozen albums pop up. Find the right track, or get a whole album, all royalty-free. Breakfast With You on the album Tres Jolie is a wonderful, humor-inspiring track that is perfect for quirky indie films or videos, home movies, etc. It’s both upbeat and old-fashioned, and brings to mind the early films of the 20’s and 30’s. Charlie Chapman would be right at home with this track! Meanwhile, the track Hot Plate (off the Home Cooking album) definitely delivers on it’s promise. Clarinet and Trumpet highlight this rollicking jazz combo. Its lively and upbeat tempo are perfect for The Big Reveal, when the final dish is unveiled. Paparazzi Shuffle is entirely different - it brings a Big Band energy to a fun Jazz beat. Cool and comical, it will give a great vibe to animation, especially if there’s comedy! It is part of the Comical / Fun / Novelty (PS20) album. Just Fiddling Around off the album, Nostalgic Nights, is at home in any speak-easy. It’s old-fashioned jazz crying out for a dance floor. 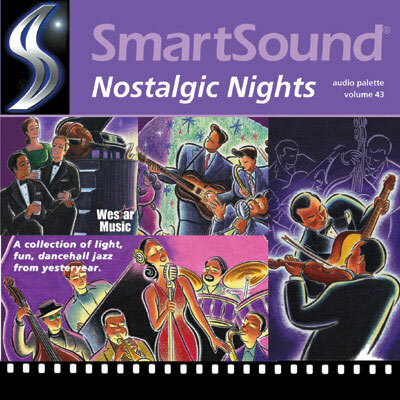 Very retro-modern, with its clarinet and violin accompanying a traditional jazz combo. As a bonus, it has 3 different variations! What Jazz compilation would be complete without The Big Easy? Take it to the French Quarter and break out some bead necklaces, because this track is heavy on the nostalgia - and don’t forget the clarinet, saxophone and trumpet! This one has it all. You can get it off the Groove Party Pack (PS57) album, and it comes with 6 different variations! 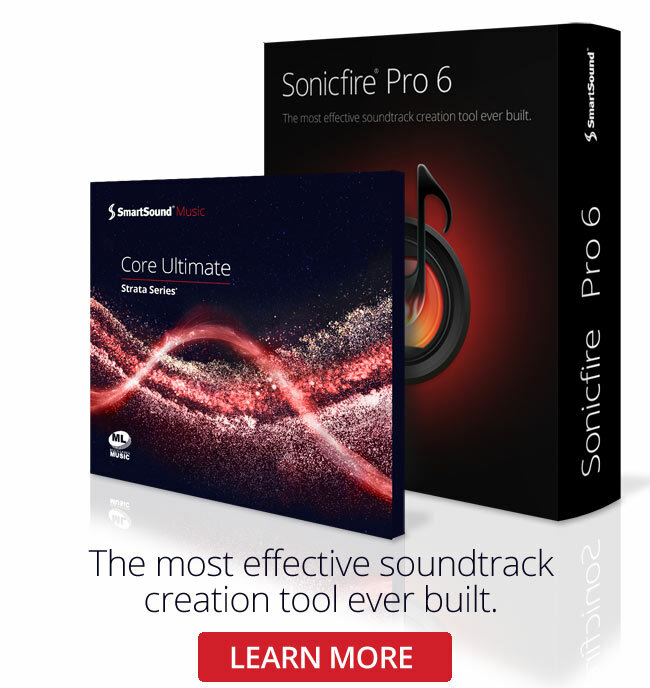 Better still, once you find the perfect Fun Jazz track, you can save a ton of time editing it into the video with SmartSound’s Award-Winning Technology, which lets you instantly resize the track to fit any scene length, and if you use the outstanding SonicFire Pro application, our unique Mood Mapping feature lets you adjust every facet of the track so it nails the audience emotion the scene demands.